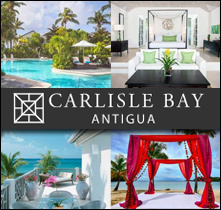 Book your reservations directly with the best and most popular hotels in Turks & Caicos - from two star, economy, kid & family friendly hoteles, first class accommodations to superior, deluxe luxury hotels and resorts. Find the best beach hotels in the Turks & Caicos area for your next family vacation, romantic weekend getaways, holiday, or business trip. 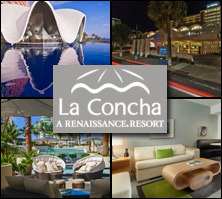 Redefining the Contemporary Luxury Hospitality Experience. Experience the Caribbean hideaway of Wymara Turks + Caicos. Views of the iconic Grace Bay Beach welcomes guests into a dramatic open-air lobby leading directly out to a 7,000 square-foot infinity-edge pool. Slip into the relaxing rhythm of Providenciales and enjoy the sophisticated cuisine at our award-winning Asian fusion restaurant, Stelle. Explore beachfront dining at Zest day or night for thoughtfully crafted local specialties while dining al fresco. Hotel Address: LOWER BIGHT ROAD I PROVIDENCALES, TURKS + CAICOS ISLANDS, B.W.I. 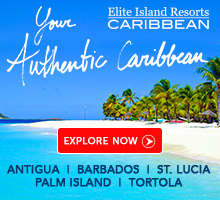 Luxury hand-made Caribbean experiences. Perched on 11 acres of immaculate beachfront, the world renowned Grace Bay Club was the first luxury all-suite hotel in Turks and Caicos, offering guests a haven for uninterrupted relaxation. The Resort, divided into three separate sections for discerning travelers of all tastes includes: the adults-only Hotel area with private restaurant, bar, and swimming pool, the family-friendly Villas with their own restaurant, bar, and pool in addition to the uber-luxe Estate, with a complete set of exclusive amenities. East Bay Resort (EBR) is located on South Caicos, in the Turks and Caicos Islands, a country renowned for award winning beaches. The resort features 86 beachfront suites and 16 traditional rooms (with no ocean view). Our resort offers breathtaking views of the pristine white-sand beach, turquoise ocean, expansive blue sky and the resort's beautifully landscaped courtyard. Set in an aquatic sanctuary, East Bay Resort is the perfect place to unwind and rejuvenate your soul, or for the more active, to enjoy a range of water sport activities that include kayaking, snorkeling, diving, fishing and kite-boarding. From the spa, restaurants, and swimming pool, to the spectacular natural environment exuding the rugged beauty and charm of South Caicos, East Bay Resort is the hidden jewel of the Turks and Caicos Islands. The West Bay Club is one of Turks & Caicos finest luxury hotels. Located in Providenciales on the tranquil shores of Grace Bay, it offers a peaceful and luxurious retreat. With an architecture and style that gracefully blends Caribbean charm with modern chic. West Bay Club features luxuriously appointed ocean front suites and a boutique range of amenities - all placed directly on the white sands of the Turks and Caicos most famous attraction: Grace Bay Beach. Our hotel's ocean front suites feature breathtaking views of the amazing water that is just steps from your door. Enjoy the cooling breezes from large outdoor terraces or relax in the comfort of the finely appointed living areas. The West Bay Club suites include the luxury of fully equipped kitchens with premium appliances, while the studios are outfitted with efficient kitchenettes. Floor-to-ceiling glass windows enhance the oceanfront luxury experience and add an eco-friendly touch. Osprey Beach Hotel offers 27 beachfront rooms, and 5 Atrium rooms. Enjoy the unhurried pace of island life, and relax at the beachside pool, hotel restaurant and bar. Swim, snorkel, and scuba dive in the clear ocean water. Enjoy live music at our barbecue every Wednesday and Saturday night. The beach is waiting for you. What are you waiting for? Reserve your stay. Discover an exciting, modern, trendy new look at the Ports of Call Resort with great value studio rooms, 1-bedroom apartments and our brand new 3-bedroom villas to. Just 300 yards away is our own designated beach area with chaise lounges, umbrellas, kayaks and stand-up paddle boards. The Ports of Call Resort in Providenciales Turks and Caicos offers an affordable opportunity to experience this upscale island destination growing in popularity each and every year among tourists from around the world. Combine the world's #1 rated beach with incredible diving, snorkelling, fishing, parasailing, bicycling, golfing and restaurants with friendly locals, great service and 'safe to explore' streets. With several scheduled flights offered daily the Ports of Call Resort is easy to get to, and you will experience the perfect combination for a memory filled, hassle-free Caribbean vacation. Description: Book now and save 25% on all room types for travel between June 1 - December 21, 2019. 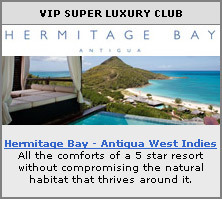 Requires a minimum 5-night stay. Offer ends September 30, 2019. Repeat guests - email or call us for your extra discount. Poolside bar credit is only valid for direct bookings. *Rate is in USD and does not include 27% tax. Based on single or double occupancy (studio rooms) and up to 6 people allowed per villa (a 7th person may be added if they are age 2 and under). Cribs are available. The Windsong Resort is a truly refreshing boutique property, and the exclusive Turks and Caicos member of Preferred Hotels & Resorts. It is also a Trip Advisor 'Top 25 Caribbean Hotel' situated on 435 feet of world-famous Grace Bay and the island's best coral reef. Sugary white beaches, underwater sea life and turquoise waters are the perfect setting for romantic strolls, basking in the surf, snorkeling, diving, and destination weddings. Featuring just fifty-three architecturally distinctive Turks and Caicos accommodations including spacious 1, 2, 3 and 4 bedroom oceanfront suites, as well as island view rooms and studios, Windsong stands out among Caribbean resorts. Additionally, Windsong offers a private oceanfront villa with plunge pool. All accommodations offer kitchens or kitchenettes, laundry facilities, and include complimentary daily Continental breakfast, WIFI, non-motorized watercraft, bicycles, fitness center, underground parking, and once daily bottled water, chilled towel service, and mini sorbet--both beachside and at the oceanfront pool. Guests can choose from dozens of relaxing treatments at the Drift Spa, and enjoy romantic oceanfront candlelight dining at Dune, or casual dining and libations at Jojo's Cafe. Located just about a mile down the beach, also directly on Grace Bay Beach, sits Ocean Club West. Although aesthetically similar to Ocean Club, this property offers a sophisticated Caribbean charm with some unique enhancements. The more open design of its beach front location presents rooms with fantastic views of the garden, pool, and ocean! Guests at Ocean Club West are especially impressed by the close proximity to local shopping, restaurants, and island night-life. On property, they enjoy the meandering free form pool flowing throughout the center of the property, the lush landscaping, and the newly updated Seaside Cafe with its tropical atmosphere and new beach side deck. All suites at Ocean Club West, from Studio to Three Bedroom, are modern and well maintained to ensure guest satisfaction. Graciously appointed villas and suites. Staff who are genuinely happy to be at your service. Culinary delights with fresh Caribbean flare. A pristine location on one of the world's best beaches. Relax and reconnect at our intimate, five-star Turks and Caicos resort. Be welcomed to our paradise with a warm greeting from Warren, our long-time bellman. Make yourself at home in one of our 53 spacious, luxuriously appointed villas and suites and allow time to slow down. Leisurely stroll our gardens in search of our iconic White Heron, which delicately walks atop colorful bougainvillea. Soak in the stunning views of our picturesque pools stretching out to the endless seas of Grace Bay. 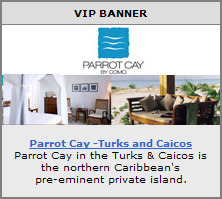 Parrot Cay by COMO is an award-winning Turks and Caicos luxury resort set on its own private island. With 1,000 unspoilt acres and mile-long beach, we deliver foot-in-the-sand luxury. All rooms, suites and beach villas have soothing interiors along with COMO's service ethic, holistic therapies, yoga, diving and worldclass cuisine. Located on world renowned Grace Bay Beach, The Palms Turks & Caicos, formerly the Regent Palms Resort and Spa, welcomes you to one of the top ranking resorts in the Caribbean. Boundless ocean views at our Grace Bay resort from stylishly-appointed rooms and suites ensure peace and tranquility while world-class amenities - including a 25,000 square foot spa and state-of-the-art infinity pool, promise rest and relaxation. A well-equipped fitness centre, together with water sports and tennis cater for more active guests and a dedicated children's club provides fun and excitement for our younger guests. Ocean Club, situated on the most pristine section of Grace Bay Beach, is our original property. Representing a more classic and intimate Caribbean style, Ocean Club was built in the mid 1990's. The property offers a wide variety of accommodations and views, and is regularly updated through our renovation program. With units ranging from Studio to Three Bedroom (and just about everything in between), Ocean Club is the perfect fit for almost any budget. Guests enjoy dining options at the beachfront, casual Cabana Bar & Grill or the sophisticated Opus Restaurant which offers dinner & evening entertainment. Ocean Club treats its guests to a relaxed atmosphere, two swimming pools, on-site water sports, lush tropical garden landscaping, and, of course, the 'best' sunsets on the island! Our spectacular property in the Turks and Caicos Islands is reminiscent of the Grand Villas of the Italian and French Riviera. We are located directly on the internationally renowned Grace Bay Beach in Providenciales. Villa Renaissance’s Turks and Caicos boutique villas include 28 luxurious 1, 2 and 3 bedroom beachfront suites and 4 charming poolside suites, Villa Renaissance offers a quiet tranquil setting for the perfect vacation. Throughout our Villa Renaissance boutique villas, Italian style architecture inter-plays with the natural environment. The Pavilion and reception areas lead to the courtyard pool with its shady walkways, charming cottages and long, elegant and highly inviting mosaic pool. A central archway within the center of the building emerges onto the beach boardwalk and endless splender of Grace Bay Beach. Description: Beautiful turquoise beach bag with our white Villa Renaissance logo proudly displayed. (15 x 6 x 12) See additional bags on our website. 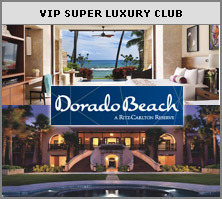 The Alexandra Resort offers the best beachfront resort value on Grace Bay Beach. The 4 star resort features spacious studios, 1 and 2 bedrooms suites, and a 4 bedroom penthouse, all with kitchen facilities and large decks or patios. Amenities include a swimming pool, tennis courts, free non motorized water sports, international restaurant, free dining shuttle to sister properties, Elevate Spa and exercise room. Centrally located and just 10 minutes from the airport. An earthly wonder of sand and sea meet at The Sands at Grace Bay, a 114 suite luxury Turks and Caicos resort nestled on the world-famous Grace Bay Beach of Providenciales, Turks & Caicos Islands, British West Indies. Oversized balconies complement large, graceful suites and offer space for quiet daydreaming, fine dining and family play. Soak in the sounds and sights of our island's turquoise heaven. Find Turks & Caicos hotels rooms, hotel booking, hotel deals, Turks & Caicos hotel reservation, motels, hotels cheap, hotel reservations, hotels deals, Turks & Caicos hotel offers, booking hotels and more! !